Dresses with fringes are stylish items that include a variety of elegant elements. The fringes on an average dress with fringes are typically placed in different zones so that certain elements on the fabric will stand out. Many fringe dress options are available, as designers always try to build and stitch products that are trendy, unique, and appealing. Some dresses with fringes may have short sleeves with sloped fabric that hugs the waist, and other pieces might include long sleeves with loose fabric that enhances air circulation. The big benefit is that dresses with fringes are constructed in dozens of colors, so the process of picking a low-key piece or a dramatic, bold dress with fringes isn't a hassle. 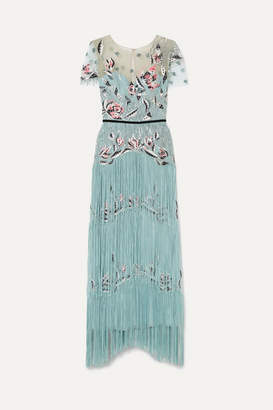 Elegant dresses with a reasonable number of fringes appeal to teens who attend proms, parties, and other general events. Teens can wear these dresses confidently because the fabrics that are used to construct the fridges make everything glittery and sparkly. A typical teen will have many choices when selecting a dress with fringes since layer options, short options, long pieces, and colorful pieces with designer fringe elements are available. Dresses with fringes are also popular among grown-ups as many of the classy pieces pair nicely with designer shoes and purses. Products for grown-ups are designed with swooping fringes that run strategically along the seam of the fabric. Multicolor dresses are available with fringe elements. The Missoni, Aviu, and Miu, Miu styles are examples of traditional options with colorful fabrics. 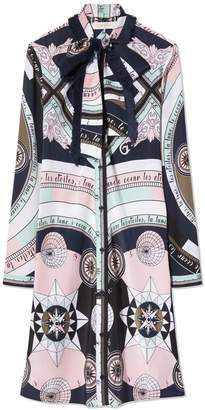 Layered dresses are usually designed with one color that has different shades. On the Marchesa dress with fringes, the designers used different shades of blue to make the fabrics shine. Some pieces also have extra-long fringes that touch the floor, and the Monique Lhuillier has this kind of design scheme. Dresses that are suitable for elegant, low-key events are structured with traditional gown elements. Fringe gowns are available in a variety of neutral tones, and the sleeves are usually long or short. Many other fringe dresses are also options for casual and elegant occasions, and all of the available pieces are stitched with solid material that can handle multiple washes.